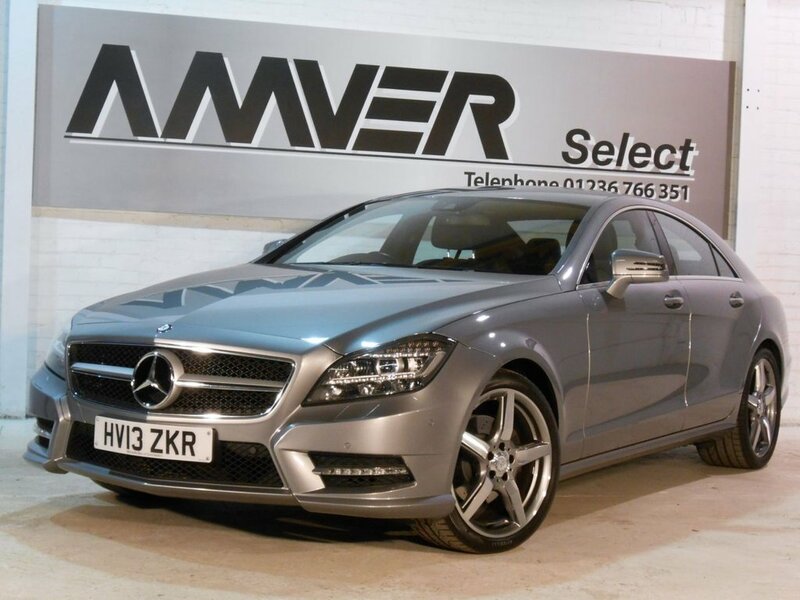 A perfectly maintained CLS AMG Sport in Palladium silver metallic with black leather trim & grey contrast stitching. Just 50,000 miles, supplied with complete book pack in Mercedes leather wallet, two keys & perfect Mercedes main dealer service history. Equipped with the excellent Mercedes COMAND satellite navigation system, Linguatronic voice commands, Mercedes-Benz Apps system, Bluetooth, DAB digital radio, CD & DVD player, electric front seats with adjustable lumbar support & dual memory, rain sensor wipers, automatic headlights with Mercedes LED Intelligent Light System, powerfold electric mirrors, front & rear parking sensors & more. 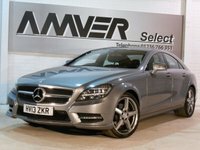 The beautifully sculpted shape is pleasingly enhanced by the AMG bodystyling & perfect AMG 19" diamond-cut alloy wheels and with its 7-speed automatic transmission, cruise control & steering wheel gearshift paddles, this superb example drives every bit as good as it looks. Finance available with no deposit, subject to approval. Part-exchange welcome. This car comes with full Mercedes main dealer service history plus six months Momentum Platinum Plus warranty so that you can drive away with total confidence knowing that you are benefiting from what is probably the best warranty cover available in the UK today. We have signed AA's Dealer Promise which means all cars are provided with a full history check, 12 months AA breakdown cover or member upgrade as well as other exclusive AA member benefits.